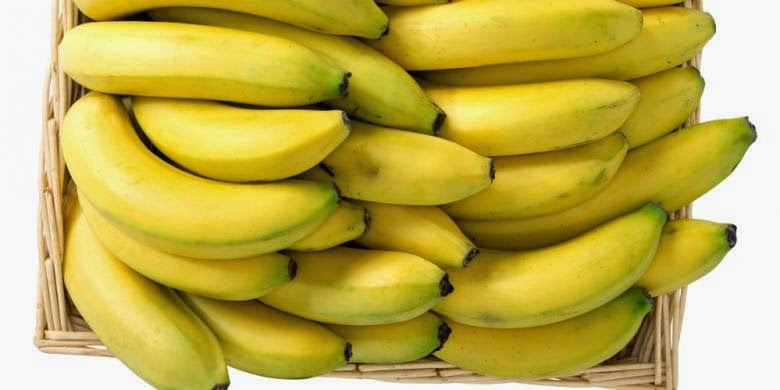 Banana And Pectin Extract Reduce Cholesterol - Bananas for health benefits may be long familiar. However, not many people know that the banana skin it can also be used to cope with high cholesterol levels. Three students of the Faculty of Agricultural Technology, Brawijaya University in Malang, namely Lukman Azis, Nisa Alfilasari and Clara Arha, doing research on the benefits of a banana skin. Apparently, pectin is extracted from banana peel has anti-cholesterol benefits. Pectin substances are then made ​​into chewy candies or marshmallows are delicious. "Pectin has a nature capable of binding water, such as a gel. Nah, marshmallows require gel so we chose this form of candy. Anyway, this marshmallow now being favored people," said Lukman, head of the research team, when contacted KOMPASHealth (17/7 / 14). He explained the process of making pectin is quite easy and can be done using common household appliances. Waste banana peel which has been sliced ​​be sorted quite small then steamed for 10 minutes. The next stage is the drying and flouring. The flour is then extracted by the method of solid-liquid at a temperature of 90 Celsius using acidic solvents. The results of extraction then became the manufacture marhmallow. "The ingredients are all natural marshmallows. For pink dye, I use dragon fruit extract. Sugar used also low in calories," he said. Lukman, who is still sitting in the 8th semester explains, pectin is extracted from banana peels could actually reduce cholesterol. Research he conducted on mice for two weeks showed decreased cholesterol by 52 percent. "I tested the mice to high cholesterol condition. During these two weeks the mice were injected with a dose of pectin that has been converted. Turns decrease cholesterol levels up to 52 percent," he said. He added pectin is generally used in the food industry comes from apples and citrus fruits which are expensive. Each year, Indonesia imported pectin to the ton. "Pectin from banana peel waste is more advantageous because it is cheap. Additionally there is efficacy in lowering cholesterol levels," he said. Research he did is part of Student Creativity Program field research conducted by the Directorate General of Higher Education Kemendikbud. The research he did under the guidance of his professor Ida Nur Panca STP. Lukman judge, this time only banana peel waste used as animal feed, whereas no useful content in it. "Supposing now once paddled two stone. Firstly can economically utilize the banana peel that add value to bananas. Second is the innovation of making marshmallows as anti-cholesterol sweets," he said. He also plans to continue her research to determine the effectiveness of pectin from banana skin in humans as well as other diseases. Process patents are also being done.